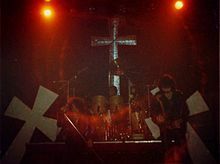 Unhappy with the quality of 1980's Live at Last, the band recorded another live album—titled Live Evil—during the Mob Rules world tour, across the United States in Dallas, San Antonio, and Seattle, in 1982. During the mixing process for the album, Iommi and Butler had a falling out with Dio. Misinformed by their then-current mixing engineer, Iommi and Butler accused Dio of sneaking into the studio at night to raise the volume of his vocals. In addition, Dio was not satisfied with the pictures of him in the artwork. 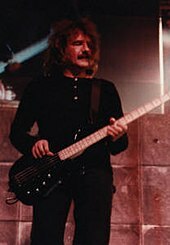 Butler also accused Dio and Appice of working on a solo album during the album's mixing without telling the other members of Black Sabbath. 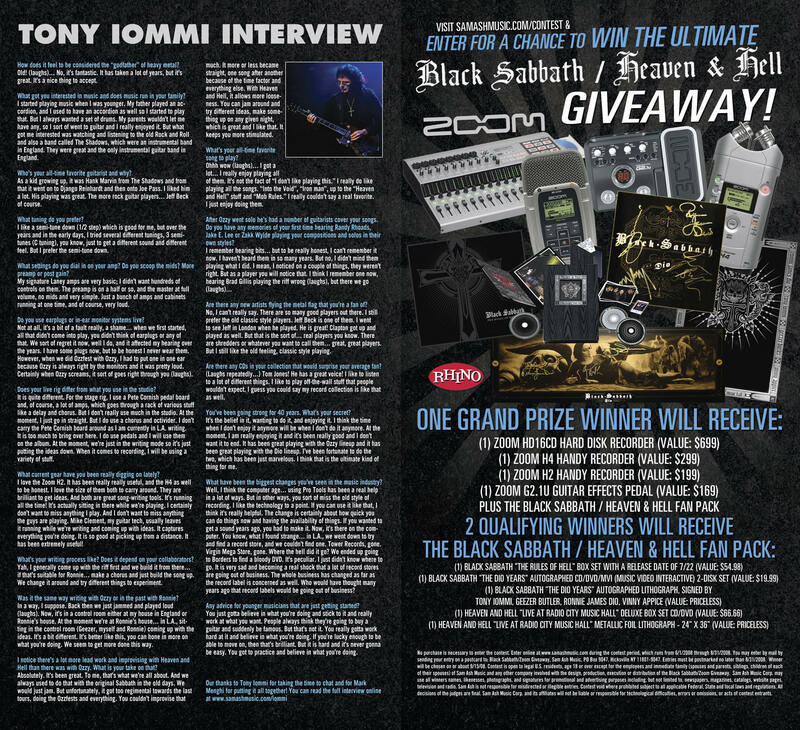 "Ronnie wanted more say in things," Iommi said. "And Geezer would get upset with him and that is where the rot set in. Live Evil is when it all fell apart. Ronnie wanted to do more of his own thing, and the engineer we were using at the time in the studio didn't know what to do, because Ronnie was telling him one thing and we were telling him another. At the end of the day, we just said, 'That's it, the band is over'". "When it comes time for the vocal, nobody tells me what to do. Nobody! Because they're not as good as me, so I do what I want to do," Dio later said. "I refuse to listen to Live Evil, because there are too many problems. If you look at the crs, the vocals and drums are listed off to the side. Open up the album and see how many pictures there are of Tony, and how many there are of me and Vinny". Under pressure from their record label, the band released their seventeenth studio album, Cross Purposes, on 8 February 1994, under the Black Sabbath name. The album received mixed reviews, with Blender giving the album two stars, calling Soundgarden's 1994 album Superunknown "a far better Sabbath album than this by-the-numbers potboiler". AllMusic's Bradley Torreano called Cross Purposes "the first album since Born Again that actually sounds like a real Sabbath record". The album just missed the Top 40 in the UK reaching number 41, and also reached 122 on the Billboard 200 in the U.S. Cross Purposes contained the song "Evil Eye", which was co-written by Van Halen guitarist Eddie Van Halen, although uncred because of record label restrictions. Touring in support of Cross Purposes began in February with Morbid Angel and Motörhead in the U.S. The band filmed a live performance at the Hammersmith Apollo on 13 April 1994, which was released on VHS accompanied by a CD, titled Cross Purposes Live. 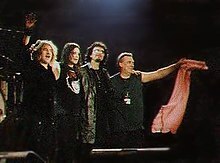 After the European tour with Cathedral and Godspeed in June 1994, drummer Bobby Rondinelli quit the band and was replaced by original Black Sabbath drummer Ward for five shows in South America. 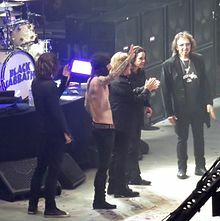 In March 2010, Black Sabbath announced that along with Metallica they would be releasing a limited ion single together to celebrate Record Store Day. It was released on 17 April 2010. In addition to being pioneers of heavy metal, they also have been cred for laying the foundations for heavy metal subgenres stoner rock, sludge metal, thrash metal, black metal and doom metal as well as for alternative rock subgenre grunge. According to the critic Bob Gulla, the band's sound "shows up in virtually all of grunge's most popular bands, including Nirvana, Soundgarden, and Alice in Chains". Tony Iommi has been cred as the pioneer of lighter gauge guitar strings. The tips of his fingers were severed in a steel factory, and while using thimbles (artificial finger tips) he found that standard guitar strings were too difficult to bend and play. He found that there was only one size of strings available, so after years with Sabbath he had strings custom made. ^ "News: Black Sabbath and Metallica to issue limited ion split single". idiomag. Retrieved 6 April 2010. ^ Steve Huey. "Sabotage – Black Sabbath | Songs, Reviews, Crs, Awards". AllMusic. Retrieved 18 January 2016.